Otherwise, please use the form opposite and submit a advance booking request, and we will contact you as soon as possible to confirm the details with you. n.b. Tables in the BIERKELLER & RESTAURANT can be booked anytime between 12 Noon – 11pm on Monday through to Saturday, except for Friday, when it’s only between 12 Noon – 5pm. PLEASE DO NOT TRY TO BOOK FOR A FRIDAY NIGHT OR SUNDAY. n.b. 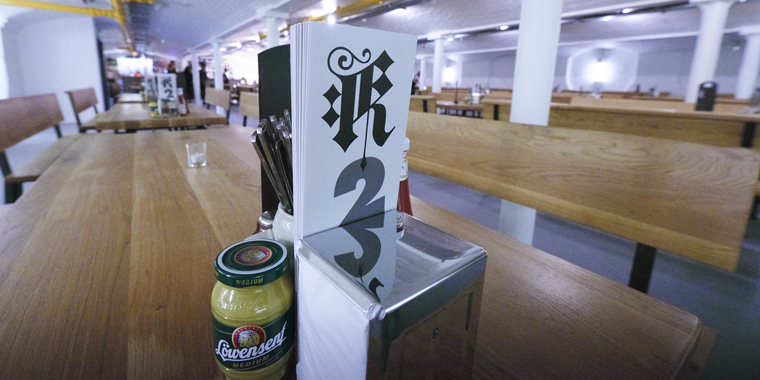 Tables in the BIERHALL can be booked anytime between 6pm – 8pm on Thursday & Saturday only. PLEASE DO NOT TRY TO BOOK FOR A FRIDAY OR SUNDAY. Good beer and large meals… and cool inside on a hot day!